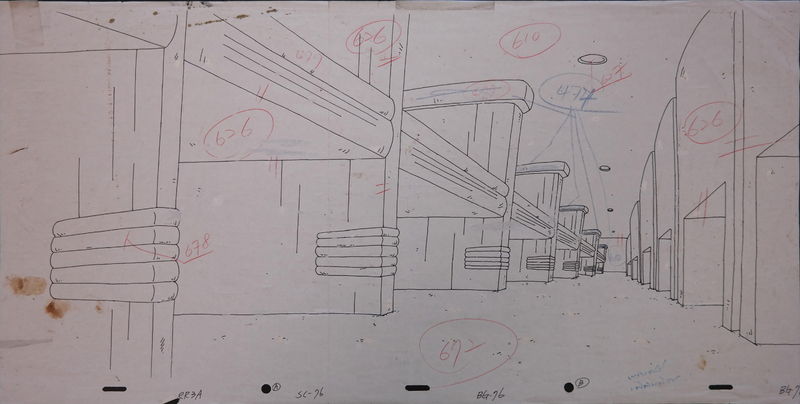 This is an original production cel set-up from the Nickelodeon / Klasky Csupo Studios animated series, Rugrats. The hand-painted image features Tommy, Phil, and Lil crawling through theatre seating and was created and used during the production of the third episode in the first season, At The Movies. The set-up features the characters on hand-painted cel layers and a background that is also a hand-painted cel layer. The overall set-up measures 10.75" x 25.25" and the image measures 9.75" x 24". The matching background layout drawing is also included with this piece.